Address: No.458 Century Avenue,Zhouzhuang Town,Jiangyin city, Jiangsu Province,China. Gears, transmission gears, ring gear, gear box, flange, inner ring, an outer ring gear and other steel forgings used in mining machinery, metallurgical machinery, wind power gears, gear offshore oil platforms, marine gearbox. It conforms to the standard of ASTM, EN, DIN, GB. in accordance with the standard of ASTM, EN, DIN, GB. Alloy steel (4140, 42CrMo4, 4340,18CrNiMo7-6 etc. 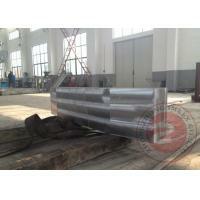 ), carbon steel, stainless steel etc. machining and strictly final inspection prior to delivery. is the foundation of our product quality control.